What are you missing out on in your own city by sticking to your established routes each day, or driving instead of walking? Sometimes it’s easy to forget how close any number of interesting locations are to the places you visit on a regular basis, even by foot – and walking can be the best way to truly experience any given city. 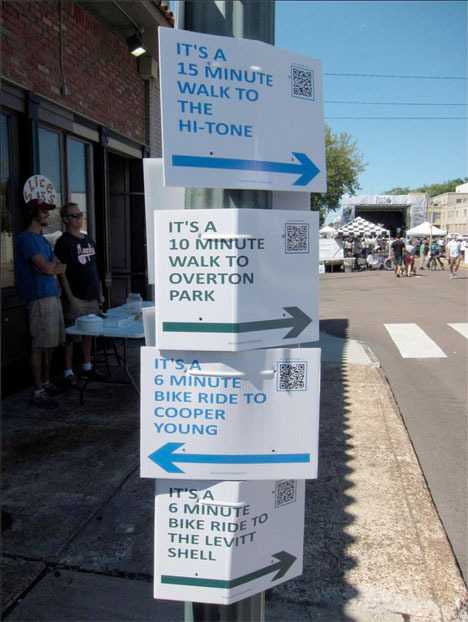 Walk [Your City] aims to encourage that kind of exploration with a combination of user-powered custom street signs and online tools. The signs tell pedestrians how close certain attractions are by foot. Scan the QR code, and you’ll get an entire walking route that gives you the walk or cycle minutes to points of interest along your path. You can join in the process by ordering your own custom-made sign and putting it up yourself. 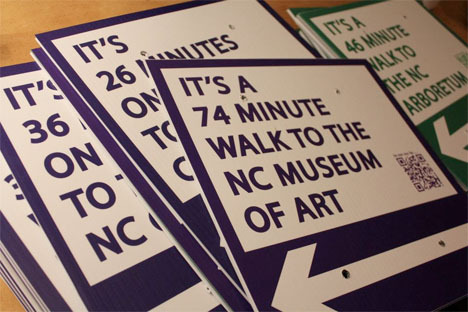 The project started in North Carolina with Walk Raleigh, a guerrilla wayfinding operation that posted 27 signs at three major intersections throughout the city in January 2012. The signs weren’t legally sanctioned by the city, so they were taken down – but the project caught the attention of officials, who are now making Walk Raleigh a permanent feature. New York City has gotten behind the project officially, too. 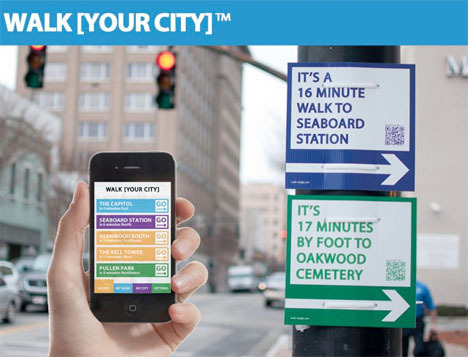 WalkNYC kicked off in June 2013 and aims to be “the citywide standard for pedestrian wayfinding.” Other cities around the nation and in Canada are following suit. 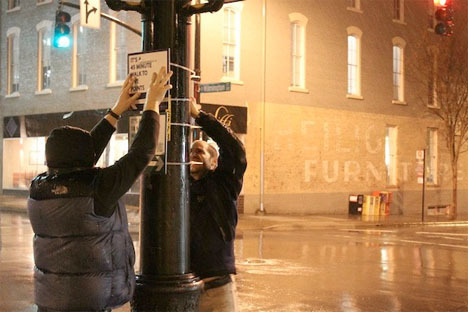 If you’re interested in implementing Walk [Your City] in your own community, you can simply go ahead and make your own signs at WalkYourCity.org.